Instagram Influencer Marketing – What Is It? If you are aware of digital marketing and its nuances, there is a good chance that you are already aware of influencer marketing. Influencers are basically the movers and shakers of the niche when it comes to specific social networks or sometimes across all of them. Your aim is to reach out to them, pique interest in your brand, and finally, get them to endorse it. This can give your brand tremendous exposure and reputation in the niche. You get a good share of the influencer’s followers who’d be interested in what you have to say to them. Why choose Instagram over other social media platforms? Instagram has grown into a mammoth platform for business with over 1 billion monthly active users. It is fair to say that Instagram is one of the most influential social media networks of this generation. 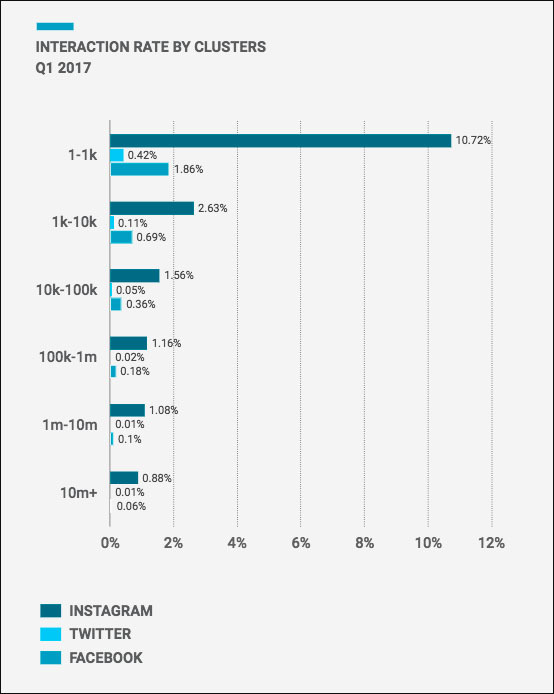 A study on social trends from Quintly highlights the gap between Instagram and other social media platforms when it comes to user interaction. As evidenced in the graphic above, Instagram boasts of super high engagement rate. This means that people who are your followers on Instagram are more likely to interact with your posts than on other social media platforms. As you can imagine, interaction is key when you want to make an impression on your audience. For a social media platform that is much newer to the game than other competitors, Instagram has a lot of users under its umbrella. It comes in at 2nd place with Facebook heading the list. Nevertheless, Pew Research Centre shows that 32% of internet users in the US are on Instagram. Even though this is not as big as Facebook, it is still a huge number. Also, you need to consider that people on Instagram are more “active” than people on Facebook. Influencers prefer Instagram as their social media weapon of choice to other websites. This has to do with a lot of the previous two reasons plus the fact that it is a lot easier to leverage followings on Instagram. Generating content for brand endorsements is as easy as just clicking a picture, adding the right hashtags and posting it. With this kind of impact, it’s no wonder marketers are looking to Instagram as their platform of choice for exposure and conversions. The first (and the most important) thing you need to do is you need to highlight your target audience. Here’s is where a lot of brands get it wrong – they spread their message to either too many types of people or too few. A simple guide to this problem would be to analyze what kind of demographic influencers in your niche are tuning into. Combine this with your checklist, and you will end up with a few categories of influencers who will be right for your brand. There are several goals that can be achieved with influencer marketing depending on the niche your brand belongs to. Increase Sales – one of the most common goals of a campaign, you need to be careful as influencer marketing is not going to dramatically increase sales overnight. Brand Reputation – this is a very viable target if the brand is new to the market or running a campaign for the first time. Here, the focus is on user engagement, impressions, and views. Increase Followers – the number of social media followers a brand has does make a good impression on people checking your brand out. New Demographic – very effective if a brand has launched a new product or trying to get more inclusive with their audience. Customer Engagement – engagement is a pretty important metric when a brand’s impact in the niche is considered. There are several things you need to look at when identifying the ideal influencer for a brand. Niche – the first determinant is if they are from the same niche as the brand, it wouldn’t be ideal to get influencers from other niches to push a product that is unaligned with the niche. Engagement – brands need to check if the influencer has an engagement percentage of at least 3% on their posts with anything in the region of 6% is excellent. Number of followers – while this was a lot more important earlier, it is still a measure of the popularity of the influencer. Follower quality – ideally, the influencer should have an audience that is aligned with the niche(s) they are promoting. Location – where the influencer is from can have some bearing on the brand’s popularity in a particular area. Budget – this is an important consideration because an influencer may choose to accept a flat rate, percentages of sales or gifts depending on the circumstances. There are a number of ways to find the right Instagram influencers for your brand and not all of them are difficult. We are going to list a few of the brands can use to get more influencers. The cheapest method would be to search on Instagram. While this is cost-effective, meaning free, you will not be able to land a lot of influencers quickly. This is because there are millions of people on Instagram. Added to the fact that they are all not going to work for your brand. There is also the option of searching through hashtags to narrow down people for your brand. This is not very effective, but hey, it’s free, so it’s a good start! Just to be clear – this isn’t going to be as simple as firing up Google search and copying the results off the first page. No. Google Search has Advanced Search Commands which you can use to highlight probable influencers who can carry the torch for your brand. You can actually narrow down searches to just go through specific websites and even add parameters to it to make your searches even more precise. And you can further customize this through a combination of advanced search operators to get exactly what you want. “Instagram photos and videos” – is a meta tag found on all Instagram account search results. What this does is filter out individual posts from users and just get their accounts. Explore – specifies that you do not want to check Instagram’s Explore section. This reduces search noise. Go ahead and try it, you’ll definitely be surprised by the results! If you are looking for an easy method to sift through several niches of influencers separated based on different metrics, then an influencer platform is what you should be browsing through. An influencer platform is basically like a directory listing all influencers on a specific social media website. These are curated, and (ideally) only contain verified profiles which you can use to build your base of influencers. The caveat here is that there is a distinct element of you get what you paid for here. Free directories are never going to be as accurate or as reliable as the paid ones. Also, the more expensive ones tend to have a better collection of influencers as well as data on them. These data should give you enough to take a call on the kind of influencers you are going to get in touch with for endorsing your brand. 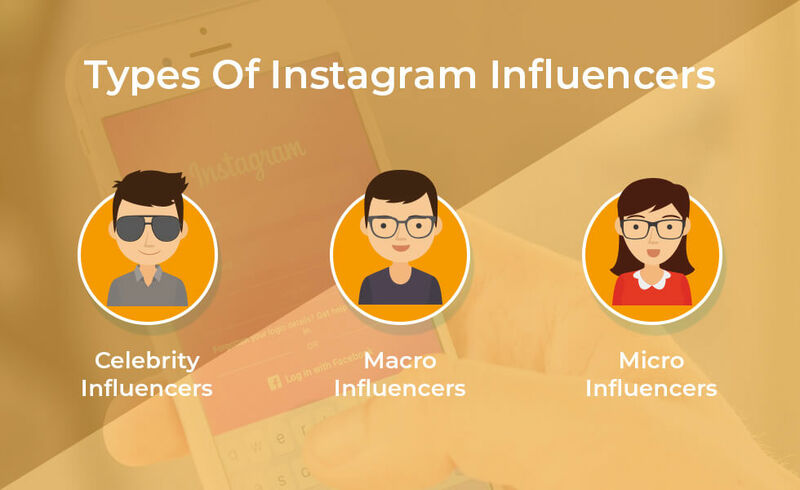 There are several types of Instagram influencers based on their level of popularity and how much attention they can draw to a brand. What you have to remember here is that bigger is not necessarily better for the brand you are working for. These are the top echelons of every social media marketing strategy. Musicians, actors, sportspersons, and entertainment stars are a few categories who charge tens of thousands of dollars for a post which is usually seen by more than a million of their followers. The advantage they have is they are known all over the world, and they transcend niches because of their star power. While you might think that this is the place to advertise, for new brands that are niche specific, not really. The next rung on the influencer ladder are the macro influencers. They have significantly less number of followers, about 50k to 300k. They are a lot more popular on social media channels than on TV. The advantage a brand has using macro influencers is that their followers are a lot more engaging than those of celebrities. And since they are not as expensive as Celebrity Influencers, this translates into more bang for your marketing buck. People who are well known in a more specific niche make up the “Micro Influencer” category. They normally have a follower count of 5k to 50k, and their focus is even more vertical rather than horizontal. If you are looking for the best engagement numbers, then these are the people you should be approaching. While they might not have the largest audience, their engagement rates are a lot better than the other 2 categories. If you are marketing a new brand, and are also working on a budget, then you would do well to bet on influencers from this category. If you are looking for top engagement rates for a niche or brand, then micro influencers are your best bet. They are relatively easier to communicate with, and their rates are not exorbitant. They can give the brand a good push when it comes to exposure and audience engagement. Why should a brand approach micro influencers? They generate less exposure than other categories of influencers. The reason is that the brand derives a much more authentic experience when partnering with micro influencers because of their higher engagement rates. A lot of big brands usually collaborate with several micro influencers in the same niche at one time to get the most benefits out of the campaign. Google went ahead and partnered with @thesorrygirls to launch their new Google PixelBook. This was a great move because thesorrygirls are known for their creativity and art. They posted a giveaway showcasing their artistic talent on the PixelBook. The engagement rate for the post was a staggering 59.4% with over 11k likes and 8k comments. Needless to say, the post was a huge success for all parties involved! Searching for influencers by yourself when you’re starting out for a niche can be difficult and not worth the trouble. 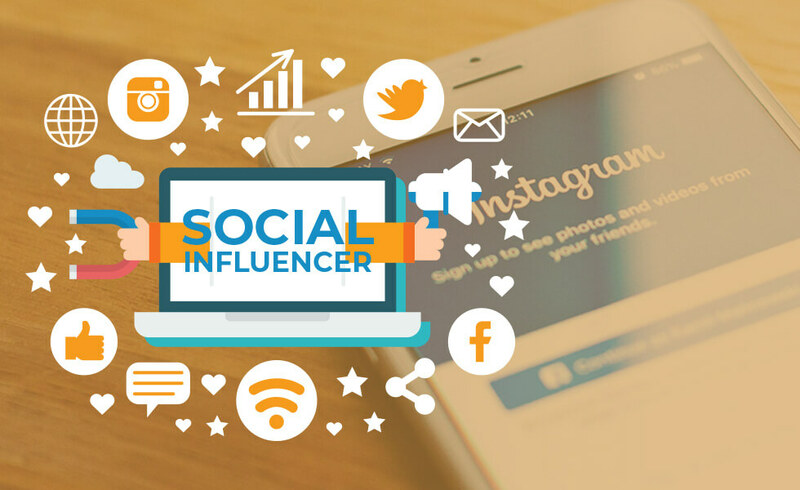 There are specific Instagram Influencer Platforms which can help you get in touch with all the popular influencers on any particular niche. 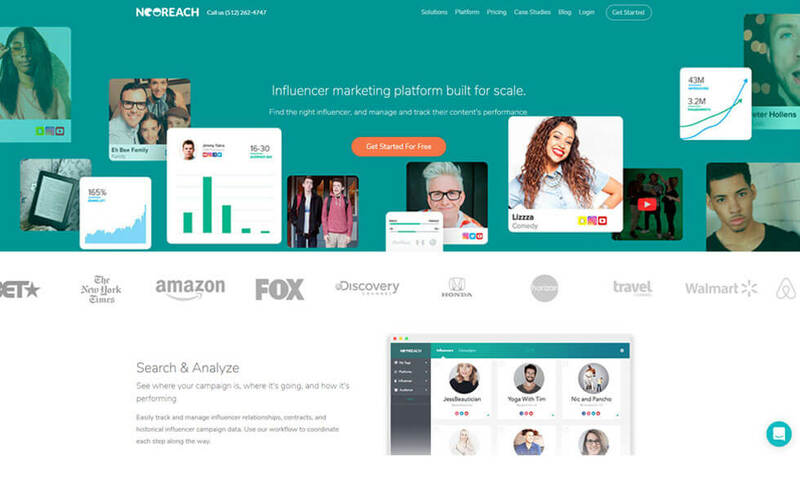 Scrunch is easily one of the biggest influencer platforms available currently. It does a great job of introducing brands to various categories of social media influencers and has a ton of information on them as well. They have over 20 million profiles for social media influencers and a gargantuan number of data points with their repository. 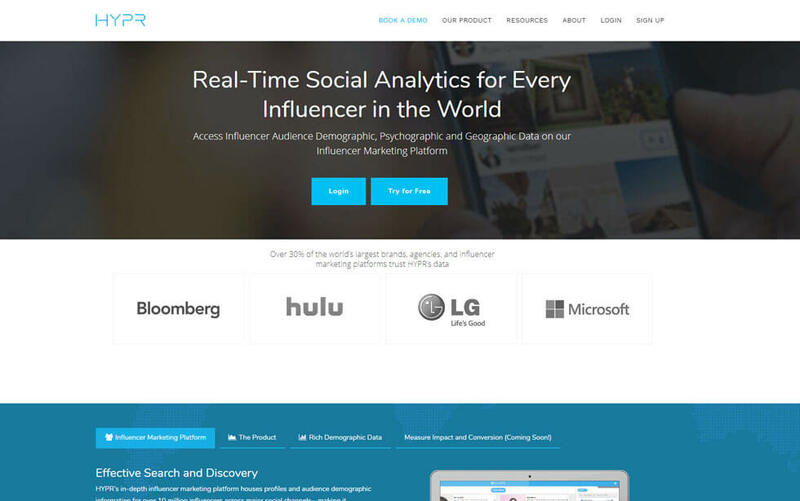 If you are looking for detailed real-time social analytics, Hypr is what you need. It gives you in-depth information about audience demographics, as well as their geographic data. It has several other features as well including their contact information as well as account managers who can help make your search easier. You have the option of trying it out for free. 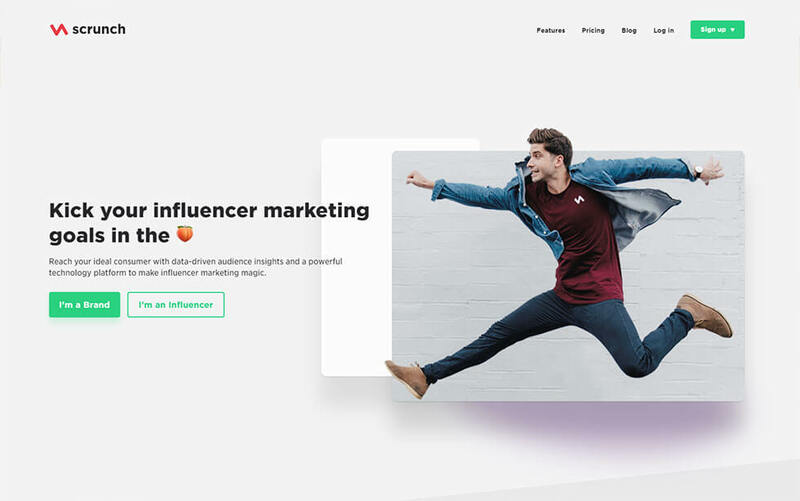 Having a wide reach of close to 250 different types of niches, Upfluence has more than 1.2 million influencers with information like location, engagement, traffic, and industry just to name a few. It shows you the latest posts by your influencer on social media and their blog. You can also contact them directly through the portal. It comes with a “Try For Free” demo. 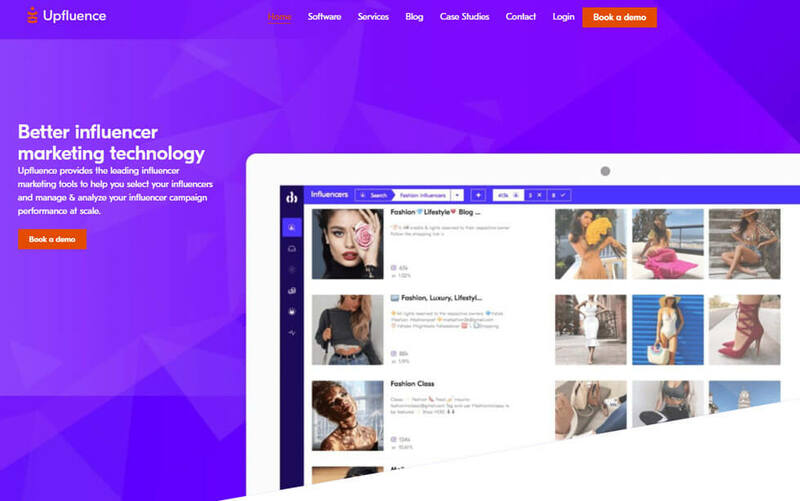 NeoReach gives users the ability to browse through user-generated campaigns which are great for people who are just starting out. It gives you real-time reports and users can export them through the software. It has 40 different filters which you can use to search for the best influencer for your brand. 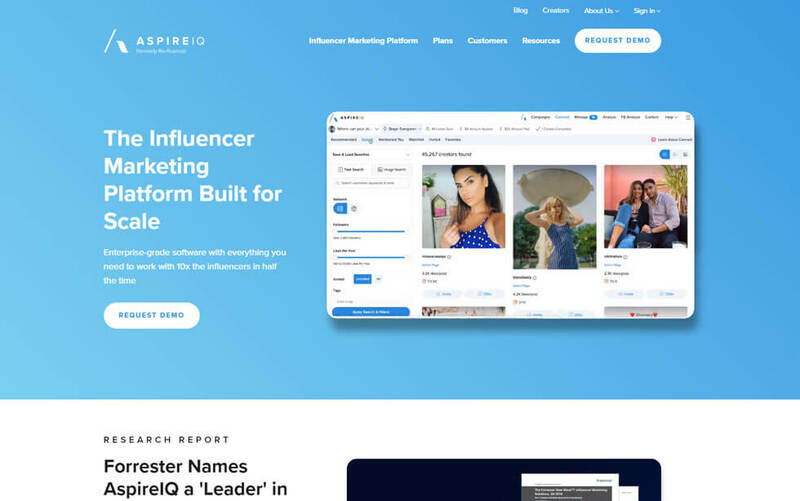 Formerly known as Revfluence, AspireIQ brings in a lot of features to an already powerful and robust tool. These folks were a step ahead of the program when compared to other influencer platforms, and they have made significant changes to their “Discovery Engine” which meant they had an even more streamlined tool on their hands. We get down to brass tacks here – how to start working on your own Instagram influencer marketing campaign. There are several phases you should consider when chalking out your own influencer campaign. The first step of any process is usually the planning and needless to say, it is critical that you outline what needs to go in your influencer campaign right from the get-go. Having a good plan in place prevents processes jamming up later in the pipeline. You need to choose the things you are going to opt for when it comes to interacting with your audience and your influencer. This is pretty much a hands-off version of influencer engagement. You plan with your influencer about what they are going to do for you, and you pay them for the post. This is simple and can work for any kind of campaign. Organizing a giveaway for your audience can be a great method to get more people interested. Contests can attract a lot of traffic and word travels quickly if the prize you are offering is worthy. Giveaways can build a good amount of buzz for the brand. Another way to increase brand rep is to include influencers in branded content which can help get better results with the influencers’ as well as your audience. An influencer could engage your brand by using storytelling as a vehicle for promotion. Brand stories are a huge hit with people. Getting influencers to review your products can add a factor of legitimacy to the brand and gain people’s trust in the process. Reviews are a powerful tool for getting attention for your brand, but you need to make sure that the review is authentic and it shouldn’t appear doctored. Getting a good part of an influencer’s audience is easy when you gift your product or services to influencers. If the product is good, they will definitely write up a positive review and getting you a lot of fans. But make sure you approach them and build a rapport with them first. Hashtags are something that can make a huge difference to your Instagram campaign and you also need to make sure that your influencers share this on their feed. The more influencers share your branded hashtags, the more consistent your brand reputation appears. Now that you’ve decided on the course of action to take when it comes to influencers, you need to spend thoughts on how you’re going to collaborate with them. Once you’ve decided on a structure, you will ensure that your campaign runs without a hitch for all involved parties. What you need to establish next is the timeframe for the campaign. This is critical because you need to establish how long the campaign is going to run as well as the time taken for the influencers to revert with the post or campaign. You also need to finalize on the type of content the influencer is going to revert with. This is normally decided after some discussion with the influencer. Be sure to communicate to the influencer about the kind of content that you are expecting from them. A lot of brands miss out on this – while you did hire an influencer to help with your branding, it is crucial that they grant you full content usage rights. This is handy when you repurpose content into other forms of advertising like posts on other social media platforms, testimonials, ads, just to name a few. A dedicated sponsorship is usually the best way to get noticed because it stipulates that no other brands should appear in the content they tag your brand in. This will, of course, mean a much heftier fee for the influencer but gives your brand whole coverage instead of having to share it with other brands. This is another aspect which you need to discuss with your influencer. What you’re saying is that you need to be able to preview the post before it is published on their feed. This is a good precaution to take because even a single post that doesn’t align with your brand image can have negative effects on your campaign. This is definitely among the top 3 metrics that you need to focus on during the results phase. Impressions are a sum of how many times the post has been viewed. This is especially important on Instagram – an Instagram Business account lets you easily track impressions on the dashboard. The problem here is that sometimes one user can have more than 1 impression which means that it can lead to some skewed results. Simply put, this is the number of followers that a brand gains at the end of the influencer campaign. This is a much more reliable metric, and Instagram Business accounts get it as a graph right on their website. If one of the goals of your campaign is to increase brand engagement, then engagement rates are an important metric which you should look at. You can find this when you calculate the Like-Follower Ratio. Ideally, you’re looking for a more balanced ratio. Engagement rate is a key metric as far as influencers are concerned and is measured in cost-per-engagement (CPE). This is more of a long term investment for your campaign – the benefits might not be immediately apparent. This is based on the fact that people who engage with brands on a regular basis are loyal to them. There are brands that are not looking to sell products or services and look at increased readership for their page. This includes promotions, registrations, or announcements – basically any form of information dissemination to a broader audience. Influencers can provide increased website or landing page traffic in these cases and can be tracked using the UTM tracking code. If you are looking for a more sales-centric campaign for the product, you should get the influencers to advertise promo codes. These are easily tracked, and people can share them around easily as well. Influencer marketing, if you haven’t noticed already, has been one of the best methods to get brands out there for people to see. Valued at almost $2 billion, it is estimated to grow to $5 – 10 billion by 2020. Influencer marketing is going away? No chance! There might be naysayers, who predict that brands will cease to rely on influencer marketing and opt for other methods. This, a lot of experts predict, is just not true. As long as people value opinions of other people over nameless and faceless reviews, influencer marketing will always remain a force to be reckoned with for brand marketing efforts. It is quite evident that influencers marketing is not going anywhere considering the prices brands pay for top influencers. Kylie Jenner has the highest payout per post on Instagram – an eye-watering 1 million for a promotional post. Legitimate influencers will always have the edge over traditional marketing methods because influencers are more relatable to people in general rather than a paid ad. Influencers too should push to improve their profiles to generate more requests from brands. The “Verified” tag is something that is coveted and can add significantly to the impact an influencer has on brand and followers. Read this link for more information on how influencers can get verified. A well-run influencer marketing campaign is the best method to get a brand noticed. It definitely trumps traditional advertisement methods in that it generates a lot more responses comparatively. Traditional advertising does generate buzz but is a lot harder to track. Influencer marketing can give you detailed numbers related to the campaign which means you know exactly where your marketing dollars have been going. Add to that the fact a lot more people look to influencers in specific niches for the right product to choose from, Influencer Marketing seems like a great platform to invest on. And regardless of age or reputation of the brand, running an influencer marketing campaign can have a huge positive impact on metrics. 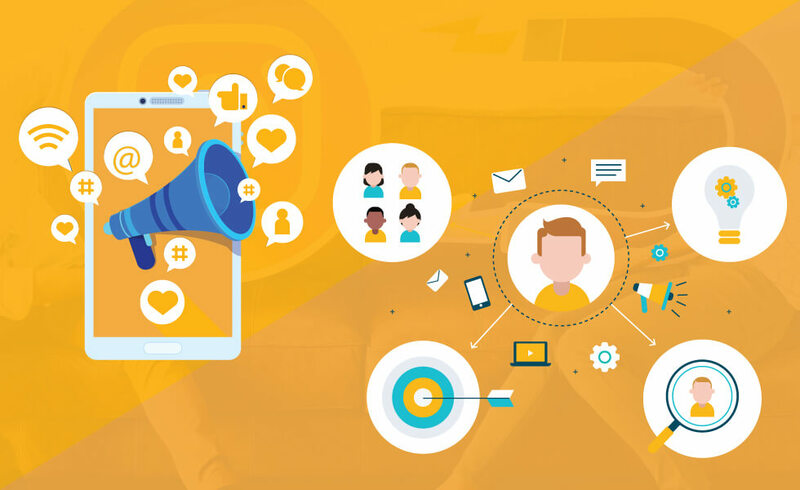 Hopefully, this article has given you some valuable insights into effectively running an influencer marketing campaign! Do let us know in the comments if you have questions for us and we shall answer them!